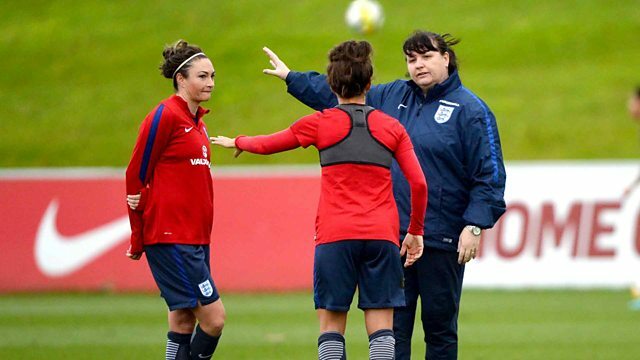 Jo Curry joins Jenni Murray to discuss the England women's football squad's new coach, Phil Neville. Plus teenagers' access to illegal drugs online, and women in law. Phil Neville has named his first squad ahead of the SheBelieves Cup in the US next month. He was appointed Head Coach of the England Women's Football team last month, following the sacking of Mark Sampson. Some have questioned Phil's lack of suitability for the role. Is Phil Neville the right person for the job and what does his appointment tell us about how the women's game is viewed? BBC Women's Football reporter, Jo Currie joins Jenni. Prescription drugs like Xanax and diazepam are being sold illegally to children on social media sites, a BBC investigation has found. Xanax is widely prescribed in the US to treat anxiety but can only be obtained on private prescription in the UK. What can parents do if they are worried about their child coming into contact with these drugs? We hear from Lauren Moss, a reporter from BBC South East, who carried out the investigation and Karen Tyrell, Executive Director of the drugs support charity Addaction who say confirm children as young as 13 have bought Xanax online. Afghanistan is considered to be one of the worst places in the world to be a woman. But Setara Hassan, the CEO of Zan TV, is hoping to raise awareness about women's issues and experiences. Zan TV is the first female-focused Afghan TV station - where all the reporters, anchors and journalists are women. Setara joins Jenni to discuss her work, why she thinks it is important, and the backlash she's received as a result. Research indicates that two thirds of women lawyers have experienced sexual harassment at work and more than half have been targeted more than once. Karen Jackson, employment discrimination lawyer and director of Didlaw, Georgina Stanley, editor of Legal Week, and Dr Vanessa Davies, the Director General of the Bar Standards Board discuss. How much of a problem this is in the legal sector?